PSKC members participate in the Resolution Run 5K on New Year’s Eve and gather at the 2017 Ice Sculpture on Allen Street for a post-run picture. 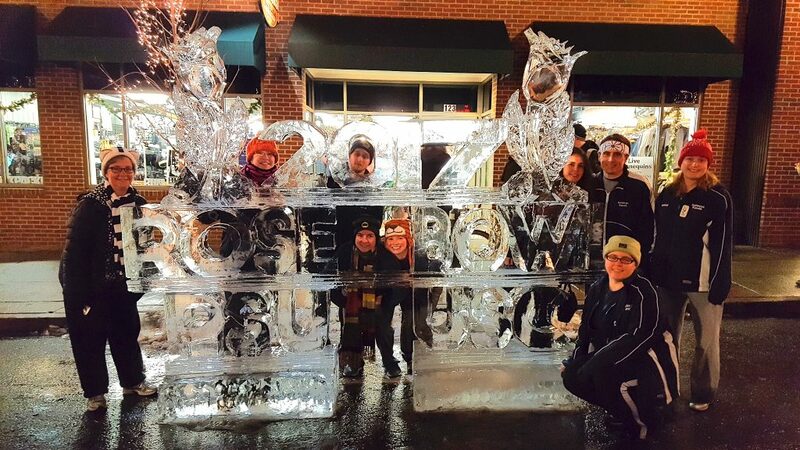 2017 Ice Sculpture on Allen Street, State College. Post-Resolution Run 5K. This entry was posted in Events on January 8, 2017 by Sensei Koszarsky.